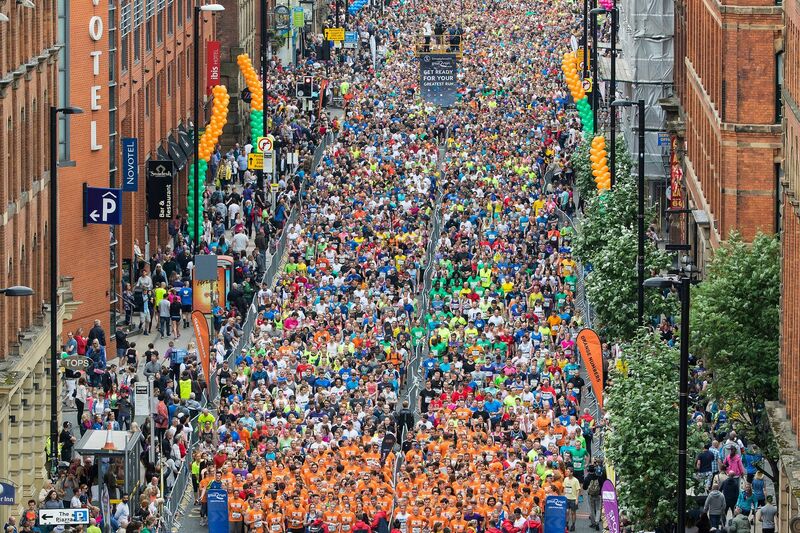 The Great Manchester Run, established in 2003, is an annual 10kilometer run through Greater Manchester and is the largest10K in Europe. 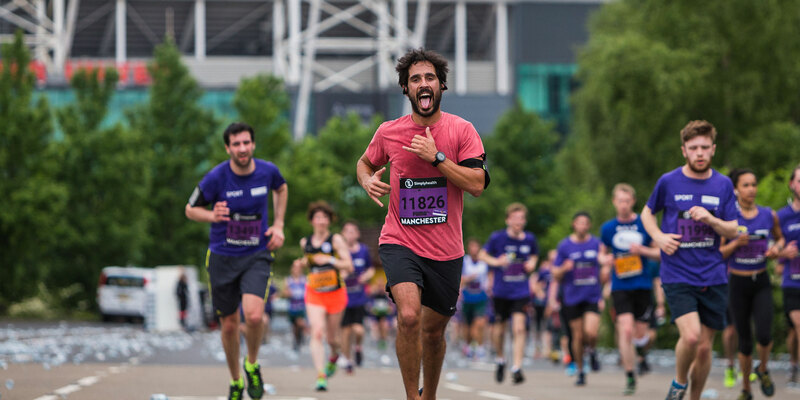 Usually held in mid-May, it is the third-largest mass participation running event in the United Kingdom behind the Great North Run and the London Marathon. 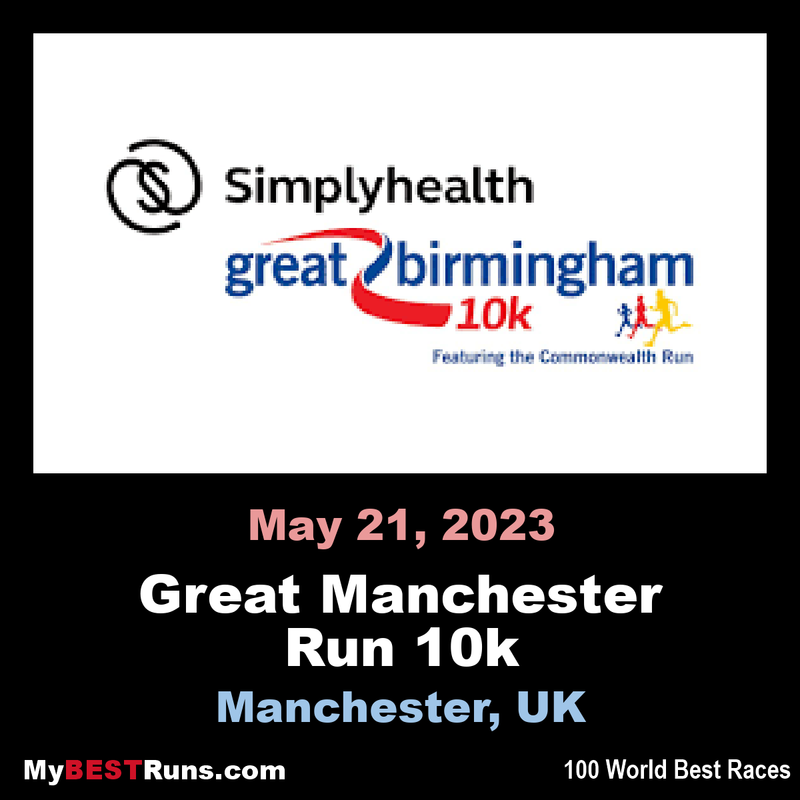 It is part of the Great Runs series of road races in the UK. It was formerly sponsored by Bupa (2003-2014) and Morrisons (2015). More than a quarter of a million people have taken part since 2003. Manchester not only boasts a population of over half a million people but it also offers visitors a wealth of activities to get involved with. You could try a bit of skiing or get your football fix, take a trip to some of the best shops in the UK, or maybe visit a museum or a brewery; there really is something for everyone. 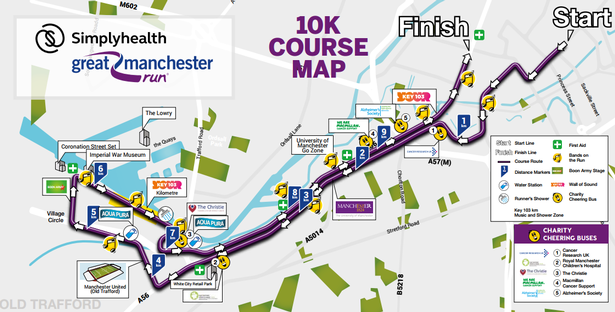 Manchester's biggest and best weekend of running kicks off with the city centre half marathon followed by the famous 10k. 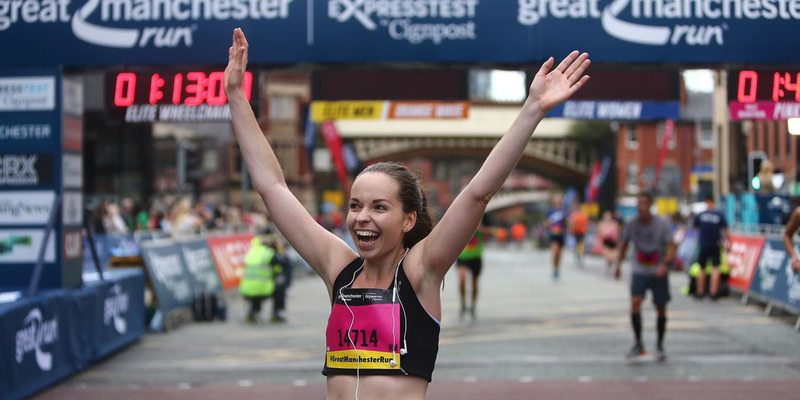 Soak up the fantastic on-course atmosphere and feel the pride of the city as you cross that finish line on Deansgate.